What if we’re going to have another warm winter? What if it’s never going to get cold again? What if there’s no such thing as a normal winter anymore? Maybe that’s just the summer heat talking. Maybe the past two warm winters in the U.S. were just a blip (the western U.S. had a cold winter last year, but the 3-4 years before that were abnormally warm). But what if…? Crossing your fingers and hoping for a cold winter isn’t a risk mitigation plan. We won’t claim to know all the answers but we do think we can put at least one tool into your toolbox to help in a warm winter (and you can still cross your fingers and hope for cold too). Warm winter or more bobtails in the snow? We may never be able to take a picture like this again. You can grow your new customers, add burner tips, find non-heat load (autogas, mowers, and the like) to mitigate the effects of a warm winter but those are not easy. You’ve got competitors fighting for business and longer sales cycles on applications like autogas – these are complex challenges. One approach that doesn’t have any of these challenges is streamlining your business. 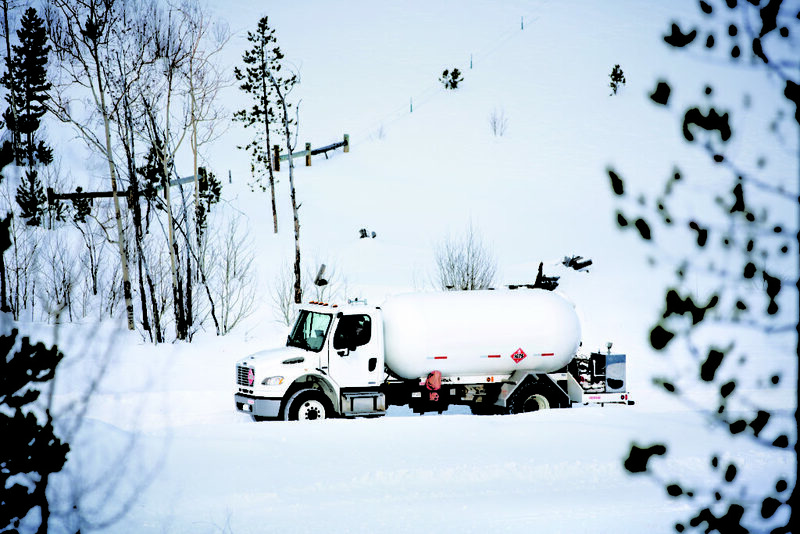 For most fuel delivery companies, the biggest expense line items are delivery costs. Those costs include driver time, diesel fuel, truck repair and maintenance just to mention a few. The first step is identifying the delivery pitfalls and challenges that drive up your delivery costs. If you’re not sure where to even start with that, we can help you with a comprehensive delivery history analysis. That report can help identify where you have been making small drops and could be delivering more fuel. It may also show you where you can skip deliveries altogether saving on those delivery costs by not sending out a truck. Or maybe you just identify certain types of customers that have high delivery costs and get a plan together to better manage those. Even if you can’t make it colder, being smarter about how you deliver, reducing those expenses, can make it feel colder to your bottom line.